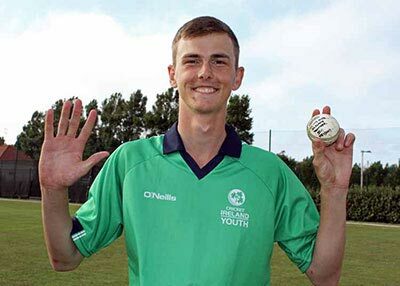 Ireland U19 international Graham Kennedy may have had reservations when the chance arose to head to Australia, however the Ballyspallen teenager has taken to life 'down under' like the proverbial duck to water and is already considering a longer term future on the other side of the world. The all-rounder is currently making a name for himself at Hannans Cricket Club in Western Australia and by all accounts has quickly endeared himself to the locals. Speaking to CricketEurope this week, Kennedy said he was really enjoying his time in Australia and said that the cricket was a good challenge for him on a personal level. "The league we play in is classed Grade A and I think the standard is pretty good with some fantastic players. My team contains Aaron Heal, a former Melbourne Renegades player. "Hannans is based in a town called Kalgoorlie which is east of Perth. I was lucky enough to get picked to go to Perth in January for a week to play in their ‘country week’ tournament for the EGCA. It's a marvellous city and whilst there I attended a Big Bash match. "I am kept very busy so there isn't a lot of time for sight-seeing. I work five days a week and have cricket practice each evening, Monday to Friday (mixed between adult training and coaching the youth teams). "Hannans CC have some fantastic youth players. We have a match every Saturday and sometimes a T20 on a Friday evening which only leaves Sunday for recovery." Looking to the longer term, the 19-year old admitted that going out on a more permanent basis appealed to him. "Yes I would consider moving here in the future. The people are very friendly and have made me feel very welcome from the moment I arrived, and I have enjoyed it ever since. I will be definitely be returning to Australia next year that's for sure." 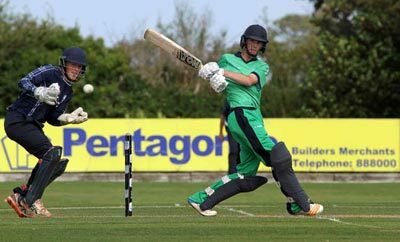 Pressed on the North West scene, he agreed that it was becoming more difficult for northern-based players to progress without moving to Dublin to play club cricket. "This season back home is going to be big year for me because I’m now at a crossroads in my life and I need to consider where my future lies. "Yes, I agree it’s getting harder for northern players especially with Leinster dominating the Irish squads and with most of the coaching being based in Dublin. The consensus is that all the investment is Dublin-based with the new stadium and practice facilities being built there and this is epitomised by players feeling the need to play in Leinster to improve their chances of Irish selection. 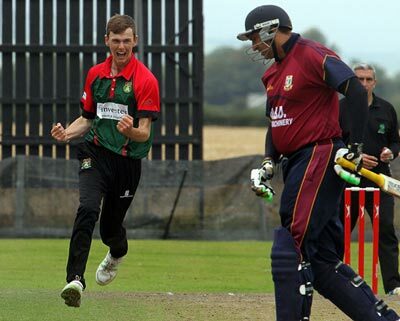 "I am grateful to the NWCU for giving me my debut with the Warriors when I was 16 and for keeping the faith in me. It has been brilliant to play with, and learn from the likes of William Porterfield. "The way the NWCU opts to use local players is good for morale and so encouraging for young players because it lets us see you will be rewarded for performing and putting in the hard work and that you can reap the rewards in your own union. "It’s great that most of the Warriors play their cricket in the NW because it helps raise the standard and it gives you an opportunity to watch these types of players when not playing yourself. "I’m really looking forward to playing with 'Spallen in The Premiership this year. We know it’s going to be very tough, but it’ll be a great experience and learning curve for the all players who haven’t played premiership cricket before, including myself. "The team will be relying heavily on the experience of Craig and Mark Averill to help us through each game as it will be a daunting challenge for us, but one we'll look forward to."